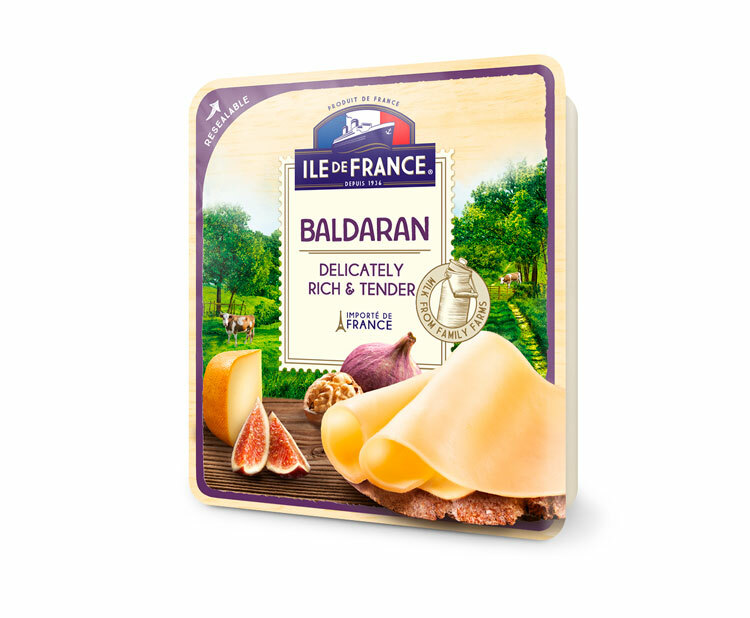 The Ile de France Baldaran slices are full of character due to the recipe associating full fat milk and carefully selected cheese ferments. Those ferments provide to the Baldaran its delicate texture combined with a strong and typical flavor, because of a long ripening process in our cheese cellars. Strong taste and delicate texture. Pasteurised cow’s milk, culture, salt, colour (annatto), microbial rennet. During ripening, small white crystals may gather, sign of quality. May contain traces of ewe and goat’s milk, haselnuts, cashewnuts and egg white extract. Packed in a protective atmosphere.